HÀ NỘI — The recent boom in resort property has offered abundant choice for investors, but what will draw the attention of the most accomplished investors? It will be not only quality but also originality – breaking rules to set new benchmarks which blur the boundaries between nature and architecture. This can be felt at Sailing Club Villas Phu Quoc. In a recent interview about the current resort trend, Frank Marrenbach, CEO of luxury hotel company Oetker Collection, said the elite will naturally stay at luxury hotels but it is not easy to gain their satisfaction. Classy bathrooms, well-known chefs and modern amenities are must-have standards. Marrenbach stressed that originality is critical to attract the elite. Freshness and exquisiteness are things the rich will not hesitate to spend money looking for. The world’s renowned resorts such as Keemala Thailand and the Muraka are on the list of must-go destinations for elite tourists because they offer one-of-a-kind experiences. In Việt Nam, Phú Quốc Island is a destination that cannot be ignored and it is not difficult to find luxury resorts there. However, nothing can compare with Sailing Club Villas Phu Quoc for its originality, freshness and friendliness to nature. Located on the Phu Quoc Marina tourism complex, Sailing Club Villas Phu Quoc was created to break the rules and set new benchmarks with its very own values. It is rustic yet elegant, quiet but exciting. Architecture is the first thing that makes Sailing Club Villas Phu Quoc. The villas are designed by British architect Gary Fell, known for designing luxurious villas for the world’s billionaires. Four Seasons Bali is one of the best examples of Fell’s work that blurs nature and architecture, outside and inside. It shows his unique style and passion for open spaces. Sailing Club Villas Phu Quoc is a new challenge to conquer – a classy project on Long Beach – named a must-go destination by CNN in December. 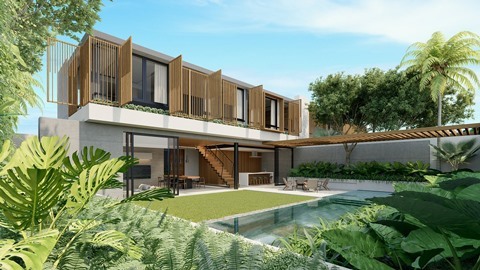 A symphony of architecture and green space was written by Gary Fell at Sailing Club Villas Phu Quoc. Floor-to-ceiling glass panels and brise-soleil design are used as a language to express his passion for open spaces to create immenseness and attract natural light from the sea. At Sailing Club Villas Phu Quoc, rustic and indigenous uniqueness becomes an integrated part of the interior and light architecture language by Kaze. “Very Phú Quốc” materials such as stones and natural wood were selected carefully to bring Sailing Club Villas Phu Quoc its own values and praise the enchanting cultures of the Jade Island. 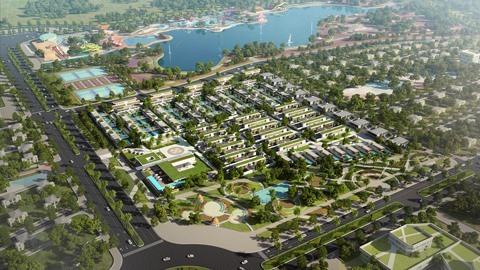 Sailing Club Villas Phu Quoc is a harmonisation of conflicts. Here, everything is balanced. If inside is a space of quietness, outside is full of attractive, exciting and fashionable facilities. 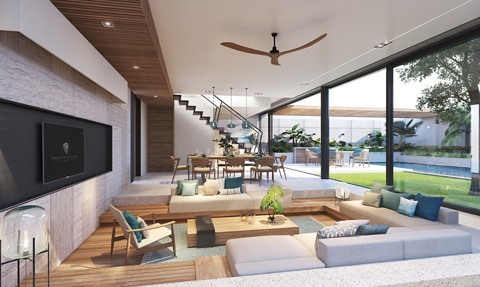 “Our vision for Sailing Club Villas Phu Quoc is to create a home-away-from-home,” Louis Walters, general manager of Sailing Club Leisure Group, said. More than anything, Sailing Club Villas Phu Quoc is located at the prime location of Marina Phu Quoc tourism complex, close to the festival stress, marine square and other mega projects like InterContinental Phu Quoc Long Beach Resort, Regent Villas and Resort Phu Quoc. Sailing Club Villas Phu Quoc will be operated by Sailing Club Leisure Group, a well-known resort brand through the past 25 years with pioneering values in creating easy-to-feel but hard-to-forget holidays.